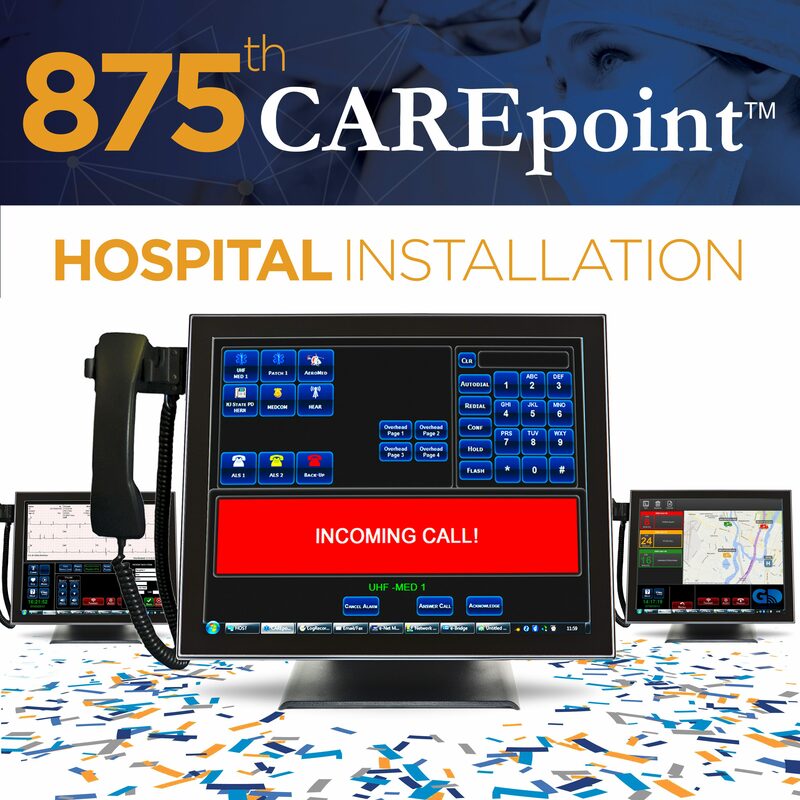 Ridgefield, NJ – July 2018 GD is pleased to announce the shipment of our 875th CAREpoint Workstation! Dignity Health St. Mary Medical Center in Long Beach, CA has taken the steps to improve patient care and enhance communications with their first responders. For over a quarter of a century, GD has been dedicated to providing the newest and latest technology to EMS squads and emergency departments nationwide in order to streamline and simplify pre-hospital patient care. CAREpoint allows first responders to efficiently communicate with the hospital and submit patient data in a timely fashion to expedite patient handoff and time to treatment. CAREpoint has the ability to consolidate, share and record radio, mobile, video and other messages as well as all patient data obtained in the field. CAREpoint helps our customers mitigate risk, enhance workflows, reduce false lab activations and improve team communication. CAREpoint can include Instant Recall; a feature which lets you replay EMS calls. It can also include Remote Control (RC), which allows the doctor or nurse to answer an EMS call remotely on a mobile device while not in the Emergency Department. CAREpoint also works seamlessly with our award-winning e-Bridge™ and WorkFLOW applications. GD enables smarter patient care by empowering hospitals, EMS, community healthcare, and public safety with the most comprehensive, interactive, configurable, affordable and integrated FDA listed medical communication and mobile telemedicine solution. The benefits of which are enhanced workflows, minimized risk, reduced costs and improved patient outcomes. Emergency departments should be equipped with the best technology to ensure they’re ready for anything and with CAREpoint Workstation, you’ll never miss a beat. Receive, respond to, forward, and document phone and radio calls, faxes, emails, 12-Lead ECGs, and all other EMS to hospital communications and information on one easy-to-use, HIPAA-secure system. All CAREpoint data is automatically recorded, logged, time-stamped and immediately available for instant playback to answer urgent questions or for later review. Be innovative in the forefront with CAREpoint Workstation. Read more about CAREpoint and its features or to request a demo of this powerful workstation.